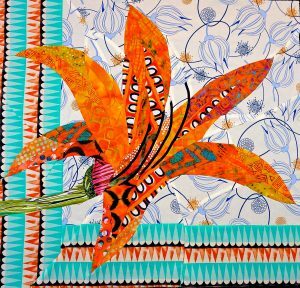 I’m excited that my Daylily pattern is now available. It is the newest additional to the Artisan Series of patterns. The gentle curves in the pattern capture the elegance of this flower. All sorts of different fabric choices work well for the integrated border and really help showcase this flower. Available though my Etsy Shop.